Do you have concerns regarding your child’s self-regulation and behavior throughout the day, tolerance of environments, or attention? Do you have concerns about your child’s motor skills, safety during play, participation in sports/recess/gym class? Or maybe you have concerns around writing and/or academics as well as ability to work independently in a school environment. Children with sensory processing issues often struggle with participating in activities that other children their age do without hesitation or have difficulty tolerating busy environments and unpredictable situations. Each child’s sensory profile is unique. Therefore, it is critical to understand your child’s unique combination of needs and sensory supports to create effective interventions and strategies to empower them and help them feel successful. Click on the button above to complete our “Could Your Child Benefit” Checklist. If your child exhibits 5 or more of the following behaviors, he/she may benefit from occupational therapy with a sensory integrative focus. Contact us for more information about our services and schedule an evaluation. 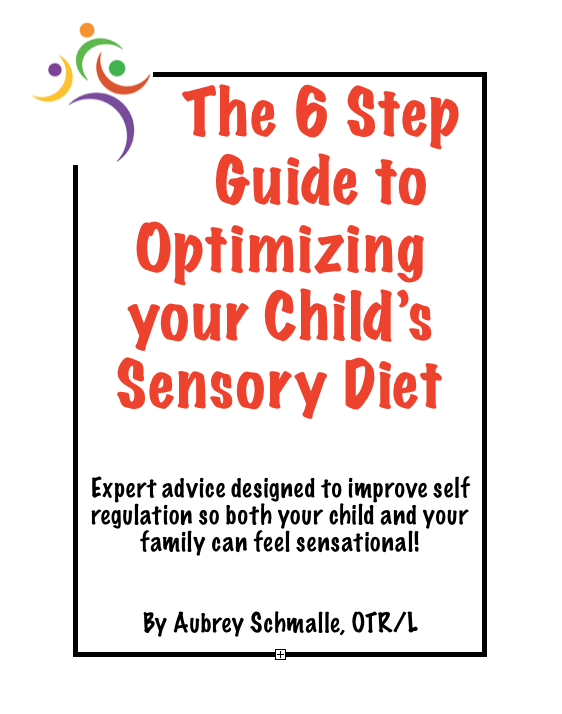 Sensory Diet Activities not working like you'd hoped? Let's get you on the right track!